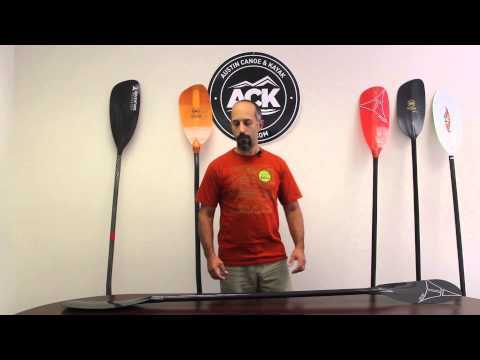 The Werner Double Diamond Bent Shaft Whitewater Kayak Paddle is the ultimate paddle for serious play boaters. It offers the right combination of powerful down turned blades and light buoyant strokes needed to master technical freestyle moves. The mid-sized play boat blades are down turned giving immediate directional control in rudder and draw strokes and the volume of the buoyant, full carbon, blade creates an exceedingly light feel for effortless and confident strokes. The Double Diamond has Dynel edges and Kevlar reinforcement protect the paddle from the rigors of the whitewater environment. Q: Is this a one or two piece paddle? A: This is a one piece. A: Hi, Thank you for the question. We can place a custom order for a werner paddle. You would want to call in and place a special order over the phone or email all specifics for the paddle and we can send you a custom special order shopping cart.